Most days I have the pleasure of talking about real estate to dozens and dozens of people which gives me the opportunity to ask a lot of questions. When you talk with enough people and ask enough questions you start to see patterns form with the answers you receive. One of the Mysteries of the Real Estate industry is the answer to the question; Why hasn't your property sold? The consistent answer we hear is "The Market". First, you must understand that the market has never been responsible for any real estate owner to sell or not sell a property. The market with real estate, like anything else offered for sale, is dependent upon the demand for the product and the amount of the product available to meet that demand. I do get the excuse that the reason a property won't sell is "The Market", but let's look truthfully at the real reason before moving on to the numbers - It is a Seller's willingness or unwillingness to accept a price for a property that will cause it to sell or keep it from selling, not the market. As a seller, you always want to evaluate the hold & see approach against the costs associated with doing so and what likelihood there is that prices will improve. You can do it in the back room, so no one sees you do it and make the decision yourself without telling anyone, so don't be afraid. You actually should be afraid to NOT do it, but make sure you're using facts and not HOPE as your driver. Let's pretend for a moment that "The Market" is the cause of a property not selling. This exercise got me thinking about the past and reflecting on the "Great" market we were in back in 2006. You'll remember 2006 because it is the year every property owner thinks is returning next year...well next year...or next year. I went back in time (via MLS system) to see what was going on back in the single best year of real estate sales in the history of our nation and it is interesting what I saw. July 2006 had 512 homes sale. July 2014 had 593 home sale. That's right - Better in 2014 than 2006! 2006 Jan - Aug had 3958 total homes sale. 2014 Jan - Aug had 3893 homes sale - 8 less homes per month sell in 2014 to date as there were in the best market ever! A Bad market?? July 2006 had 396 condos sale. July 2014 had 382 condos sale. 2006 Jan - Aug had 4488 condos sale. 2014 Jan - Aug had 2613 condos sale. You can see that where July wasn't far apart in the different years the annualized number is WAY off. Over 550 fewer condos are selling per month in 2014 than in 2006, but there are still an average of 326 condos selling every single month right now. Land sales are roughly half right now than what they were in 2006, except in 2006 there were large tracts selling to developers where the current sales are driven by individual lot sales. Land is a super challenged segment of our local market and will remain that way for many more years. So, when you truly examine the numbers of properties selling you cannot deny that the market today is not drastically different than the best market ever. Of course this relates only to selling volume and not pricing...which is kind of the point. It is always about the price and no matter how much we, as homeowners, don't want to hear it that doesn't change the fact. 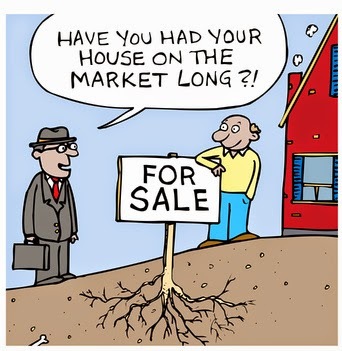 "The Market" is never the culprit for you not selling your property. It is all about you making the decision to sell or not sell as it relates to today's market. As an example, if the true market pricing is on a property is $250,000, but you won't sell for less than $290,000 why would you put it on the market? (see previous post about the dumb buyer). If you don't put it on the market because you feel it will get better down the road, then look at the potential and probable appreciation that needs to happen. Let's assume that the market returns to 3% appreciation year over year for the next 5 years. You would arrive at your target $290,000 price at the end of the 5th year and again assuming an average cost of $2,000 per month to carry the property, you only invested $120,000 to get your $40,000! The only thing more wrong than investing $120,000 to get a $40,000 return is expecting the real estate market to guarantee a 3% annualized return for the next 5 years. Do you really want to put your life on hold for this hope? If selling is you goal, then make the decision on the facts and if you just can't do it then stop thinking about selling all together. Get out of 2006 and understand that today's market is 2014 - 8 years removed from what you may still be waiting to return. I came across an interesting article recently that was written by a respected organization followed by thousands of consumers and real estate agents that caught my attention. As I read the article it seemed to have been written from the thoughts in my head over the last 7 years and I was happy to see someone put it out there. The basis of the article was that running a lot of ads in magazines or newspapers for a property will not cause a real estate Buyer to abandon logic and market research to buy a property. In fact, the article stated, as I agree, that advertising real estate in today's world is a waste. In many ways, the real estate industry is a mixed bag of being stuck in the past and rushing to the "future" at the same time. 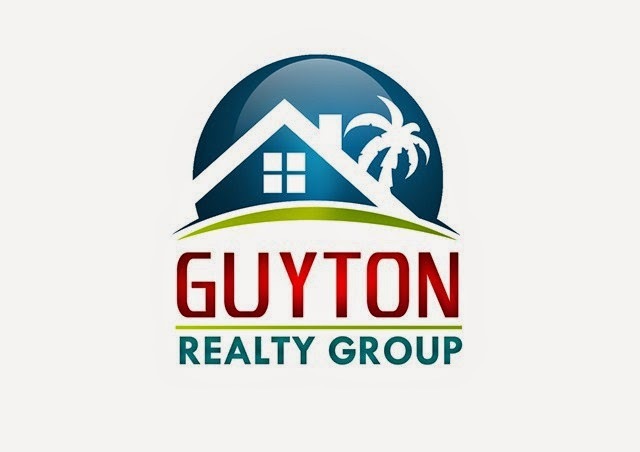 In the past, there was no consumer sites that were syndicated from local Multiple Listing Services. In the past, the only way to know about what was actually available for sale was a newspaper ad, a yard sign, or maybe a flyer mailed to you, or even a direct phone call. The ease by which all Buyer's find properties today wasn't around a couple decades ago. From the main sites such as Zillow, Realtor.com and Trulia to the secondary sites like agent IDX sites with property triggers and google alerts there are hundreds of ways that the buying consumer searches for real estate today other than the way they had to 20+ years ago. When the MLS became a web-based application it started a different way for agents to work. When a property is now listed in the MLS it is instantly broadcast to the entire agent population of our association, which is 2700 agents! In addition to the initial notice of a new listing, all consumer sites, agent sites and alerts have the ability to set triggers to email a Buyer of when a property that matches their criteria hits the market. There is generally no doubt that a property is being seen, or can be seen when listed. The future that so many agents get caught up in is the "Social Media" trend that is sweeping across our industry. Could buying a home on Facebook be the wave of the future? Probably not, but it certainly won't be the trend for a long, long, long, long time if ever, so why waste time here? So why isn't your property selling? You may think there simply are no buyer's in the market. That would be untrue. In August 2007, widely considered one of the best markets in history, there were 30 properties per day that closed. In August 2011, widely considered one of the slowest markets on the Grand Strand, there were 26 properties per day that closed. 4 properties per day difference between the best and worst markets seems crazy, but it is true. Buyer's are in the market buying everyday, no matter the market. Look at it this way, would someone buy your property for $150.00? Would they buy it for $2,000.00? How about $10,000.00? Of course they would and that proves the point. Every property has a price that will cause it to sell. No exception. You have to decide if you are willing to accept what the current market value is for your property. That is a decision that only you can make, but your decision doesn't make the market. The market is the exact range for which a Buyer is willing to Buy and a Seller is willing to sell a property, product, or gallon of gas...and not a penny more. Don't be fooled into thinking that your year-old air conditioner that cost you $4,500.00 to install adds $10,000.00 to the value of your property over the others that have SOLD. Does this mean that you can just liquidate a property without the help of a real estate agent? It is an option, for sure, but not one that has a high success rate. 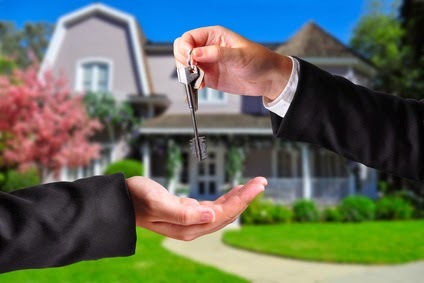 The process of getting your property sold absolutely requires a strong professional that is willing to guide you to market, or guide you away from the market. When you look at market statistics where your property is located there isn't a huge curve for interpretation. What you see and what a Buyer sees, is what every agent should also see for value. The right, well-informed agent won't bend on their estimation of value, but will be able to exhibit to you why it is the price and exactly what they will do to expose the home and sell it. If your price doesn't match with the market, don't put it on the market, period. There are already too many sellers searching for that ONE, Dumb Buyer that will abandon market facts, fall in love with their property instantly and pay cash so an appraiser won't come look at it. He or she may be out there, but boy do they have a big selection of overprice properties to consider. A recent NAR survey revealed that the NUMBER ONE benefit a Seller wants from their agent is assistance in setting a competitive price. It is truly one of, if not the most important things an agent can do for you as a seller. Remember, big, bright and beautiful ads don't cause Buyer's to become dumber. Get a Great agent, price your property correctly and don;t believe advertising more will create a group of Buyers that don't understand value! Besides, when was the last time you paid $10.00 for a gallon of milk because of the "Got Milk" ad? Click HERE for a great Market Report delivered directly to your inbox!